Elite physical performance requires significant mental focus. Luckily, the brain waves of an athlete can be analyzed to help determine this optimal state of mind. Design a headset that will empower professional and amateur athletes to consistently achieve peak performance. Design a single-sensor headset with untethered mobility. Headset should also be stylish and comfortable to wear. Select a sport and specific task (e.g., shooting a basketball). Provide real-time feedback with a BCI – Brain Computer Interface – to help athletes achieve proficiency and consistency. Design an iPhone app that athletes can use to share results and improve their athletic performance. Select a sports performance task with the highest potential interest for tweens and brand-name partners. 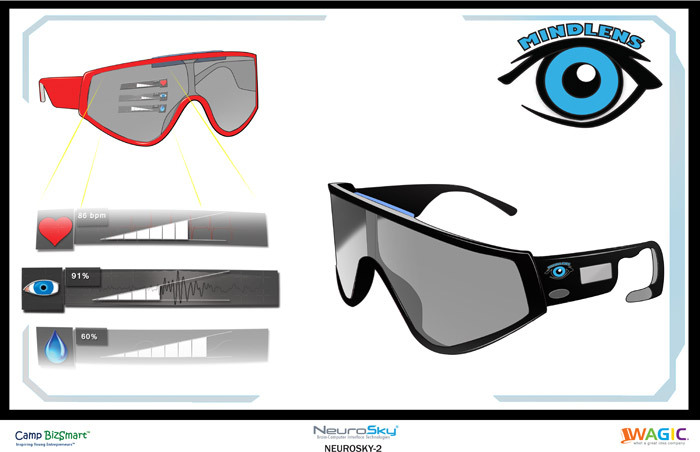 Use current NeuroSky research and technology. Design, build, and market the device for less than $100,000. Ensure device hits the market by the end of Q1 2012. Develop brand name, logo, and memorable tagline for the device. Drive marketing buzz to get tweens interested, and get at least 10,000 tweens using the device by the end of 2012. 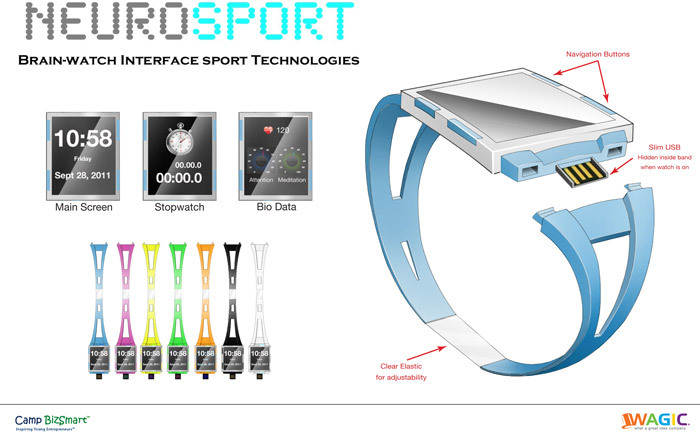 Strategize potential partners (e.g., sports companies or youth sports organizations) who could benefit from bringing this device to market. Develop strategies to build partnerships with online and big box retailers to sell the device. With mini-moto cycles, kids can now participate in races before they even get their license. What’s currently lacking in the market is a mini-moto model that’s safe, cool, and affordable. 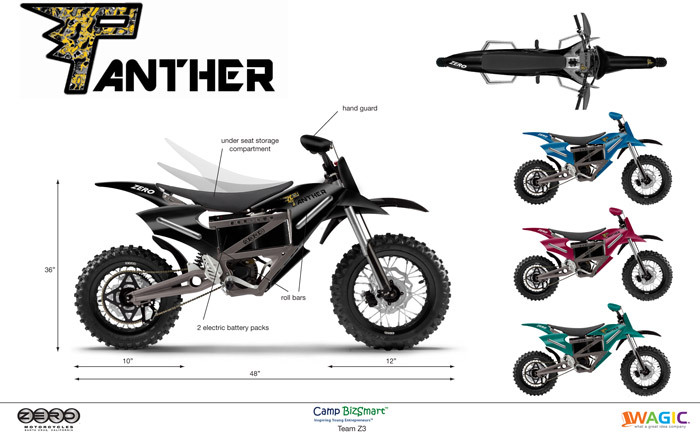 Design a new mini-moto bike for Zero Motorcycles that will become the choice for ages 9 – 17. Vehicle should be safe, cool, and innovative. Assess the competitive landscape of similar products to determine how to differentiate the Zero electric vehicle to young riders and their parents, highlighting the most desired features and benefits. Vehicle must include a removable, rechargeable battery pack. Development costs for market research and prototype construction cannot exceed $50,000. Product launch costs should range between an additional $50,000 to $100,000 for demo units, technology and engineering, and marketing materials. Marketing tactics should include strategic partnerships to create buzz, excitement, and demand. Launch between spring and summer 2012. 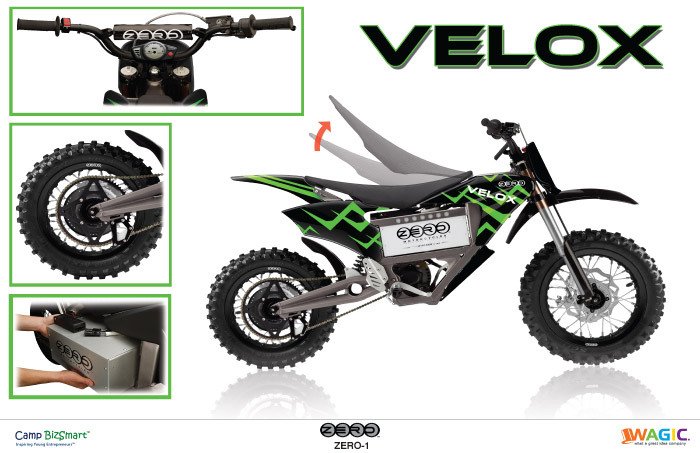 An innovative concept design for a new Zero Motorcycle mini-moto product line of electric motorcycles for ages 9 – 17. Product should be fun, safe, affordable, and energy efficient. Capture kids’ imagination, get them excited, and generate demand. Identify consumer market and geographic locations where product would have greatest viability as well as companies that would be interested in marketing partnerships. A business plan including a description for this new product, listing the target consumers, features, advantages and benefits, as well as a competitive analysis and points of differentiation for the product, and specific marketing tactics to drive sales.